Air Mauritius is the preferred travel partner of RE/MAX 24 Mauritius. Our team regularly visits property show around the world, and being in the hands of a professional team makes the trips (with all our show material and equipment) such an easy, start and end to each journey! If you’re visiting the island for business or pleasure, we recommend Air Mauritius! With beginnings in 1967, Air Mauritius helped to connect Mauritius to the rest of the world, regularly opening new routes. With flights to and from Europe, Asia, Australia, and Africa, Air Mauritius now serves 24 regional and international destinations. More than just an airline, Air Mauritius acts as an ambassador for Mauritius. They bring you the spirit of this country and its people on each of your flights with the special attention that their Mauritian crew provides, as well as a range of quality services. Air Mauritius has received several international awards recognizing the quality of its service on the ground and in flight, including several distinctions at the prestigious World Travel Awards for Leading Airline. As an IOSA-certified (IATA Operational Safety Audit) airline, for Air Mauritius your safety and security is their top priority. The fleet consists primarily of Airbus aircraft with state-of-the-art equipment. In addition, the company is, approved by the EASA (European Aviation Safety Agency), and can perform maintenance on the aircraft of European operators. Electricity: Mauritius runs on 220V or 125V 50Hz. The Central Electricity Board is the sole transmitter and distributor of the power in the country. They produce about 40% of power. The following countries are required to obtain a visa prior to travel: Afghanistan, Bangladesh, Indonesia, Iran, Iraq, Kosovo, Laos, Libya, Mali, North Korea, Pakistan, Palestine, Philippines, Sahrawi Arab Democratic Republic, Somalia, Sri Lanka, Sudan, South Sudan, Syria, Taiwan, Vietnam, Yemen. The rest are either exempted from visa regulations or are eligible for visa on arrival. 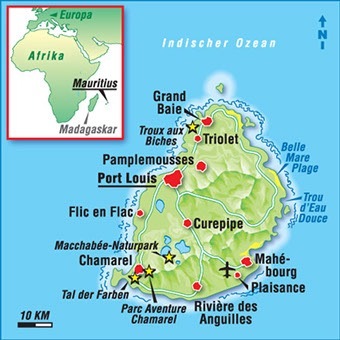 The Mauritian Passport and Immigration Office has a full list of visa regulations and exemptions for each country. A residence permit is required to stay in the country beyond 90 days or the duration of a tourist visa. There are two cases that can enable an expat to extend their stay in Mauritius: Employment, or marriage with a Mauritian citizen. Expats on tourist visas may not apply for a residence permit in the country. 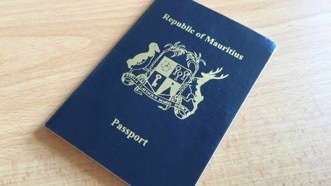 Expats who have secured employment with a Mauritian company or a sponsor, or self-employed individuals who can show proof of substantial income are eligible for an employment residence permit and work permit. Applications will be submitted to the Prime Minister’s Office, either by the sponsor or a representative. Application Form to Enter Mauritius to be filled and signed by the applicant or by representative on his behalf. Two recent passport size photographs of the applicant and his dependents where applicable. Photocopy of the data pages of applicant's passport. Letter of sponsor from the company or local counterpart. Documentary evidence that work permit has been applied for. Applicant to produce documentary evidence of family relationship, if accompanied by family or any dependent i.e. birth and marriage certificates. Applicant's children, who have attained the age of 18 years, should apply for residence permit separately with sponsoring letter from parents. Upon receipt of the above mentioned documents, the bank shall prefill the account opening forms and send same by email for signature to the client. Once the bank has vetted the scanned copies of the account opening pack, the client will thereafter have to send the original signed forms to enable them to proceed. 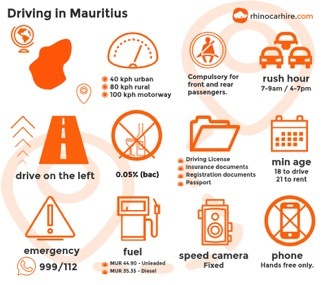 Expats may use a valid domestic license and an international license to drive legally in Mauritius for one month. Beyond that, they will have to secure a Mauritian driving license. This can be done through the Traffic Department at the nearest police station.